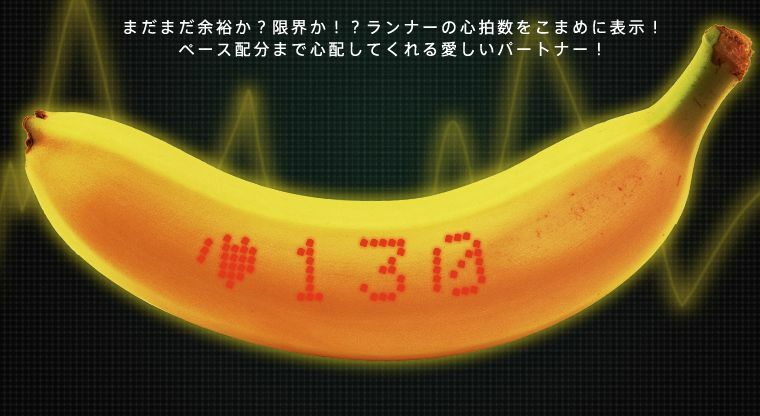 These high-tech bananas from Dole Japan are being described as the first edible wearable. Recently wearable tech has exploded, from fitness-tracking smartwatches to stylish tech-embedded jewelry and even phone-unlocking tattoos. 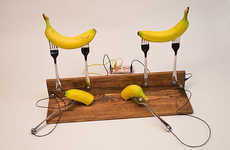 This example takes an unusual turn by powering a banana with GPS capabilities and an LED display. 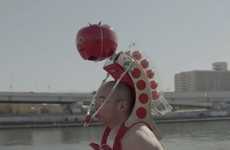 Essentially, Tokyo is combining a high potassium fruit snack with the latest fitness technology. 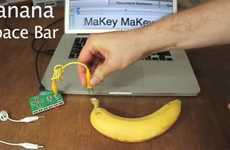 Biodegradable organic LED tech enables the edible wearable to be attached to the wrists of two runners. 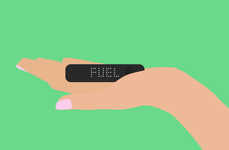 The device, like similarly equipped health monitors, can trak race times and heart rate, as well as offer encouraging messages via Twitter spectators. 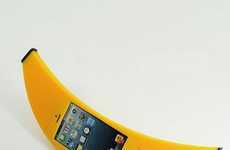 The original gruit is replaced with a smaller banana while the skin has compact tech aspects sewn into it. 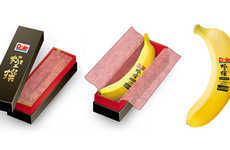 At the end of the race, the runner gets to literally eat it.